We have flexible concession options available to provide quick, but delicious, food for your event. Though the fare may be causal, we can provide unique and customized options for your guests. Lansing Center features two built-in concession stands: one in the North Point Café and one in Exhibit Hall A. North Point Café overlooks the scenic Grand River and the Lansing River Trail. A wide variety of food and beverage choices, including grilled items, are available at reasonable prices. The café boasts a 125-person seating capacity at bistro tables. Hours of operation can be coordinated based on your particular event needs. Exhibit Hall A offers the convenience of a built-in concession stand in the southwest corner of the hall. This concession stand also has a grill and provides hot, grilled concession items at reasonable prices. Portable concession stands can be arranged for your event. To accommodate your guests’ palates, portable stands can provide a variety of food and beverage options, including hot food, deli items, snacks and alcohol. To discuss hours of operation, minimum sales guarantees, concession locations, sample menus and many other options, contact our catering sales department at cateringsales@lepfa.com or call (517) 483-7400 ext. 230. 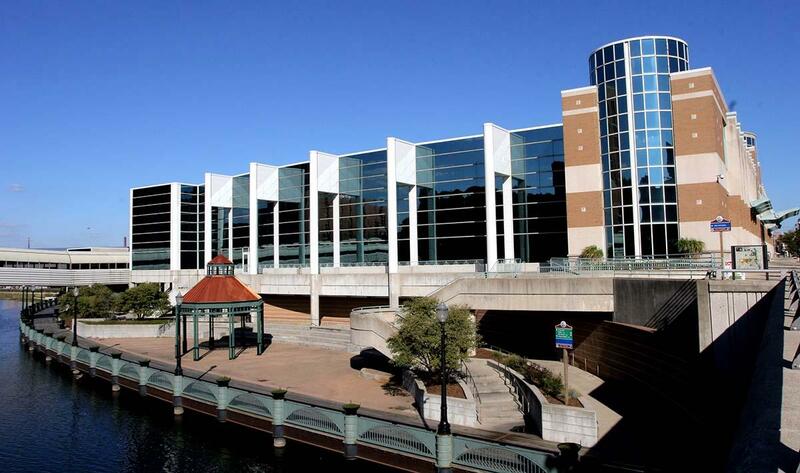 Lansing Center is Managed by LEPFA, Lansing Entertainment & Public Facilities Authority, All Rights Reserved.